The reaction I had from my daughter was, “Yeah! !” when I mentioned that I will be cooking the salted egg yolk chicken. 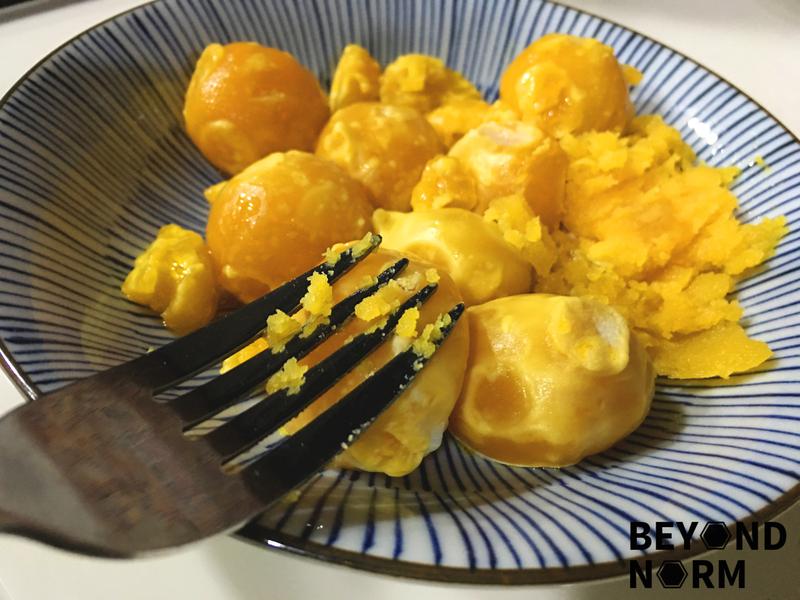 Salted Egg Yolk is amazing on chicken, squid or prawns, and oh yes, crabs!! I have decided to prepare this dish in a healthier way, by eliminating the step of deep frying the chicken with a batter. The dish turned out to be amazingly delicious and rich in taste; it is coated with this creamy sauce, mixed with curry leaves, and chopped chilli of course!! I am very fortunate to be able to buy just the salted egg yolk on its own from the market near where I live. 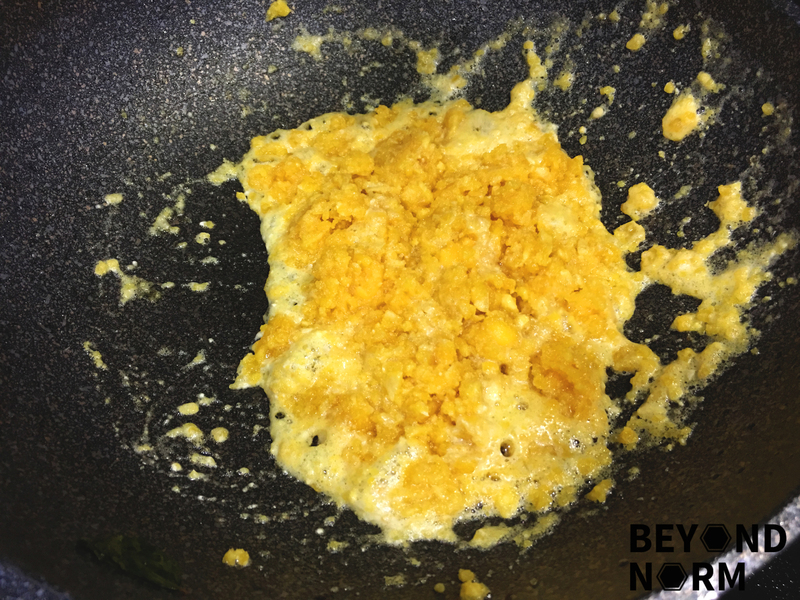 If you can’t get hold of the yolk, just buy salted eggs and separate the yolk from the white. Don’t discard the white, you can add them and some lean meat into porridge the following day to make another meal. Rinse and dry the curry leaves. Add 2 or 3 tablespoons of cooking oil into a pan. Add in the curry leaves and fry till fragrant and set aside. Rinse and cut the chicken thighs into 1 inch chunks. Add sugar, salt, pepper and cooking wine to chicken and marinate for 30 minutes or more. Using the same pan for the curry leaves add the butter. Add in garlic and the chilli and fry till fragrant. Add in the marinated chicken pieces and fry till almost cooked. Steam the salted egg yolks for 10 mins. Remove from steamer and mash the salted egg yolks to as fine as possible. Using the same pan that cooked the chicken add the mashed salted egg yolks and fry till foamy. Toss in the chicken and ensure that it is fully cooked through and evenly coated with the salted egg. 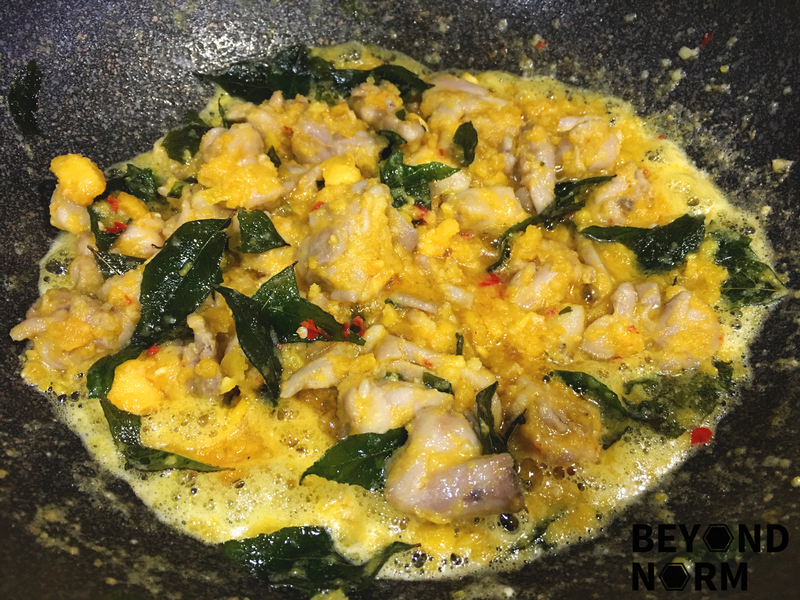 Then add in fried curry leaves and mixed well. If you prefer a spicier sauce, don’t deseed or you can add more chilli padi. If you find that your salted egg sauce is too dry, you may add 1 or 2 tablespoons of milk. Next PostFood Review: The Peranakan – No MSG. Just plenty of old fashioned TLC.